During our visit to Racine, Wisconsin a couple of weeks ago, we had to make a stop at a coffee shop. In winter, coffee concoctions are necessary -- right? From the minute we pulled up, we knew that Mocha Lisa would be a fun little place and it certainly did not disappoint. I mean, look at the adorable license plate sign? The coffee house has a cheerful vibe. I loved how the locally baked goods were displayed. Very tempting! Mocha Lisa also had some special coffees for the holidays. So festive! I ended up ordering my usual mocha latte. 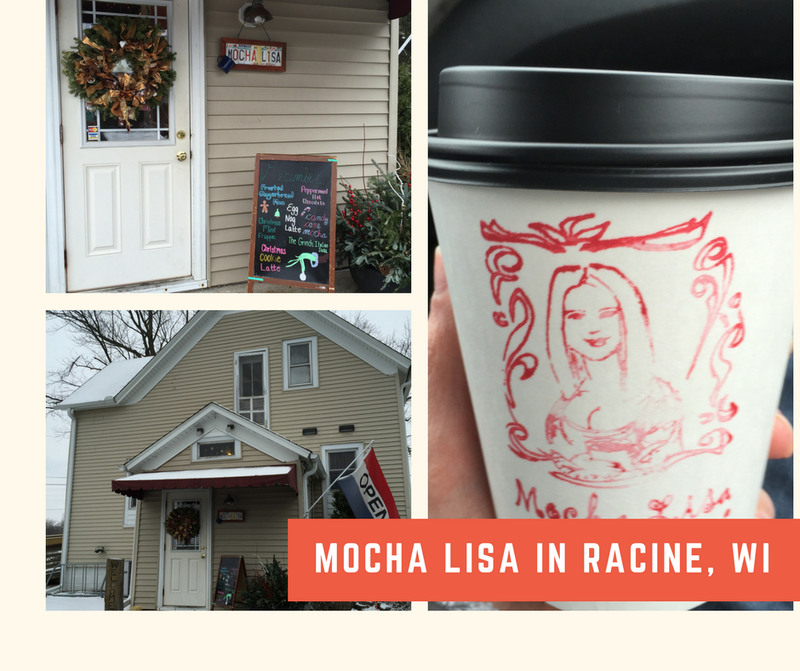 Mocha Lisa uses Colectivo Coffee which is roasted in Milwaukee. I opted to take it to go. My daughter had to return to the Chicago suburbs for volleyball practice in the evening. So we were in a bit of a crunch! We will definitely be exploring the coffee shop again in the future when we have a little more time. It is also the home of locally made artisan items. Plus, you can pick up your Colectivo beans to take home! 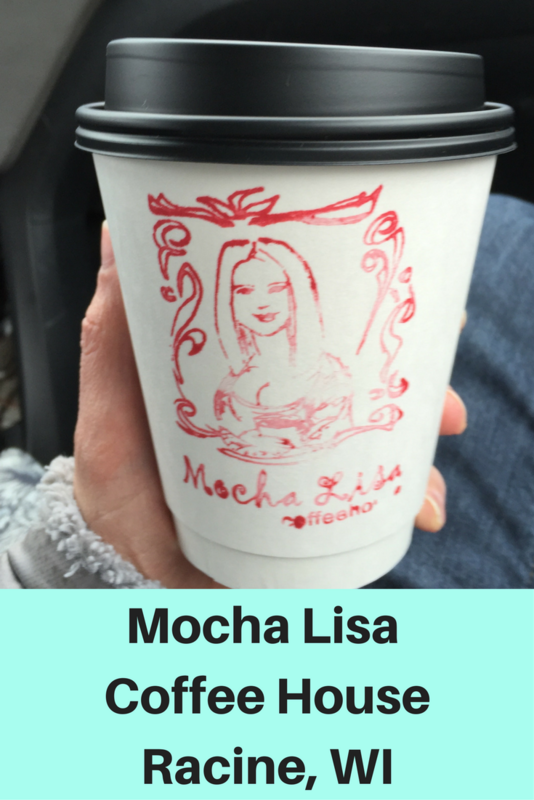 The Mocha Lisa cup is adorable and made me smile as I enjoyed my mocha latte on the ride home. We will definitely return to Mocha Lisa! Such a find!